@NeverDie Any updates on your progress? Have you received the new boards? Will you be publishing the gerber files? No, and for a host of reasons. The main reason is this: for most applications, it's overkill. Because this thread had become such a monolog, I continued to evolve the design offline, and along the way I've found that you can get perfectly good results with just an inexpensive mini solar panel, a capacitor, and a simple blocking diode. For the audience on this forum, that's all you really need. @NeverDie Indeed, keeping it simple is usually the best approach. I am nonetheless interested in learning about the circuit you developed if you're willing to share your observations. Would it be feasible to implement mppt in software? From what I understand, the atmega328 pwm works in power-save mode (but not in power-down). Power-save mode consumes 1uA. Could the charging speed be controlled by pwm and adjusted periodically by the mcu, to keep the load on the solar cell at maximum power? Like you, I've also wondered what kind of MPPT might be built by leveraging an mcu and just simple components. There is a guy on youtube ( https://youtu.be/JXSRXUiUA6M ) who built his own arduino MPPT charge controller from scratch, though for a much bigger solar panel. For me, the real quesation is: why aren't there more chips that offer a proper MPPT? It seems like a rather bizarre gap in the market. Is that mppt really needed even if you are charging a capacitor? Let's put it this way: there's probably nothing I could achieve with MPPT that I couldn't achieve with a sufficiently bigger solar panel. So, if space isn't a concern, the economics tend to favor buying bigger mini solar panels, because mini solar panels are fairly cheap from China (cheaper than buying the BQ25504 chip). On the other hand, for large 100watt or above solar panels, it's more economic to add MPPT, because an MPPT charge controller is cheap compared to, say, doubling an already expensive solar panel. That said, there may be other features of the chip that you may want anyway, like charge termination or a "battery_OK" pin to power-on your atmega328p when the voltage gets to an acceptible level. So, you could create those by other means, or you could buy a package with those features and which also happens to have MPPT at some incremental cost. So, it's six of one, half a dozen of the other. which is both less expensive and easier to assemble. The gardenlamp is quite handy as well, but better put some sealant on the edges of tha small solarcell as they do tend to leak. You will find everything has rusted inside after using it a season. Yeah, corrosion is a huge problem with the chinese ones because it seems many of their components are incredibly prone to rusting (even including their wire!). Go figure on that one. Potting epoxy will cost you much more than the garden light. I think polyurethane spray foam may be the cheapest way to weatherproof them, and it's readily available. Yes, for outdoors it's bright enough you don't really need a boost converter. So, your solution may be the least expensive DIY for outdoors. Interestingly, the chinese garden lights do use a boost converter. They use a special purpose IC specifically made for garden lights. @NeverDie It was indeed more of a concept test 'can I do this with one of those lamps'. I first tried to just use the power to the LED with the nicad in place but the NiCad just won't last long coz of the continous recharge, so I took it out and put supercaps in there. Store enough charge to get through the night. Supercaps also do better in the cold than Nicads , though I admit I brought them inside when it started freezing. Exactly so. They're cheaper than most project boxes, and then you get the solar cell "for free". Exactly which supercaps are you using, and where are you sourcing them from? It would be good to compare notes. 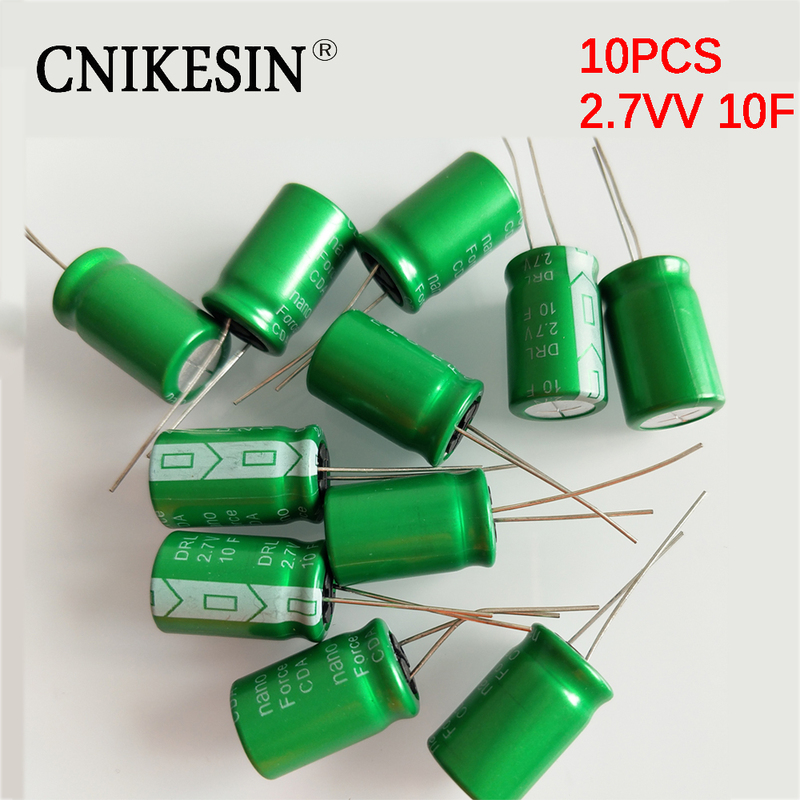 @NeverDie I have 5.5V 1.5F Supercaps from Aliexpress. Forgot which supplier but they do well. if only because it seems like a good value for money, and it seems able to run any mote for quite a long time. Good point. I use first class mail from digikey, which arrives in 2 days and which costs around $3.65 I think. If you order before 8pm, it ships the same day. So for me, since I usually order late in the day, it's almost like it arrives in a day and a half. I don't think I would order just a single supercap from Digikey, unless I was getting a bunch of them, but as I'm ordering a lot of parts from Digikey anyway, the incremental shipping cost is typically free. sure, 3.65 is peanuts if you order a bunch. Don't complain about your shipping costs from Digi-Key guys. These are the rates for me, insane ! I should point out that even without a boost converter, I'm getting good charging indoors in most locations. I've been investigating boost converters just in case I want a node that's virtually bulletproof with respect to charging from low light conditions, or which needs to power 3.3v or 5v sensors. 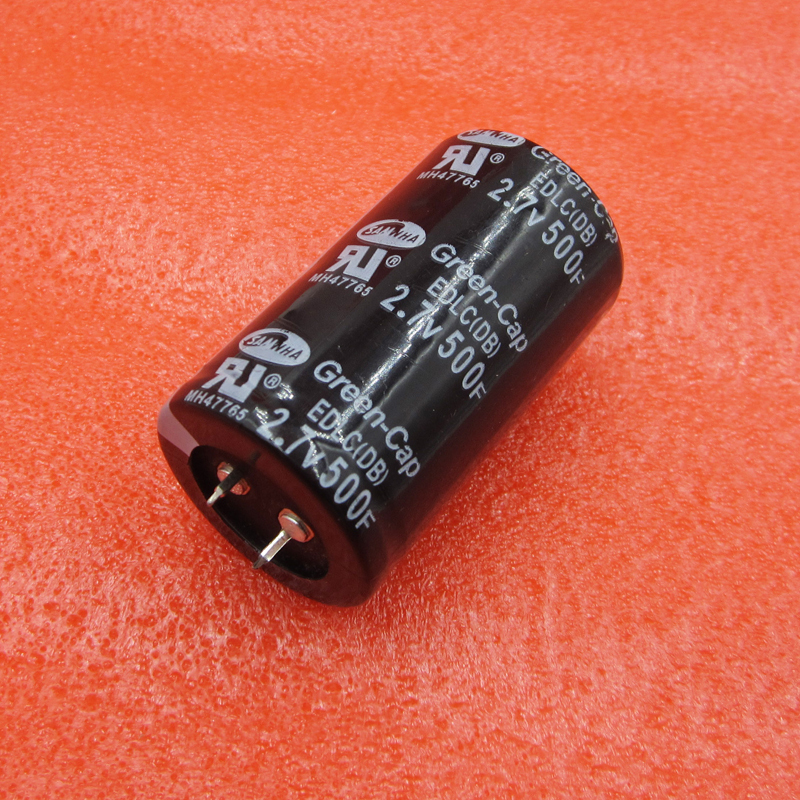 For instance, the banggood PIR sensor on the other thread requires between 2.7v and 3.3v to power it. It uses so little current though that it should be possible to power it continuously from even a solar node, so I'll be attempting that fairly soon. Obviously, doing it outdoors is nothing new and would be a piece of cake by comparison. Isn't there some place in Vietnam that stocks parts for re-sale so you don't have to order internationally and pay usurious shipping rates? Or is there just not enough demand to support that? Surely, China must have good options for you beyond just Aliexpress. That could be interesting. Do you have a link? Well, Europe has a Mouser.com presence, I think. Plus, surely there's other stuff there, like in Germany or the UK or something. @NeverDie yes I have some local shops, with very cheap delivery options, less than 1$ a;nd delivered the next day when they have stock. But unfortunately the inventory is pretty limited, I use them when the price difference is not worth the wait from AliExpress. @NeverDie Oh dont worry, plenty of local online shops here for electronic components plus distributors for adafruit and similar. However, I can order in china and have it delivered to my door often for less money than just the gas would cost me to drive to a local store, or to have it delivered from a local webstore. It's just a wild card as to whether they actually perform according to the advertised specs, though. That's why I think it's helpful if we all share what we're actually using, and whether it meets expectations or not. Yeah, and the RFM69--which is what I use--runs as low as 1.8v as well, so it's possibly a good match. Interestingly enough, the lower voltage doesn't seem to affect the range. ATmega328p's can run at 1.8v also. In theory it should be set to run at 4mhz, but neither I nor anyone I know of has had problems running at 8Mhz down to 1.8v. If you run with BOD off and internal 8Mhz resonator, it only consumes about 150na while sleeping. That's why I haven't bothered going to ATtiny's. Maybe there are other reasons to do so though? from the same seller that gohan used. It's a risk, but if either of them check out, I may buy more of that brand. I'll make a posting after I receive them to say whether they seem to be good or not. and, for the price, it seems to do a decent job of measuring capacitance and ESR. @NeverDie I have used Attiny's mainly for their size. 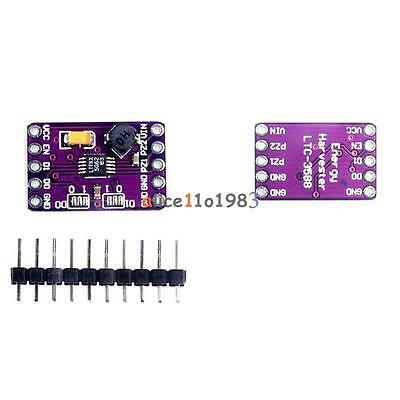 Pricewise, compared to a pro mini clone it is a bit foolish, unless you use the smd versions. Look at the workshop discussion. Uh, what workshop discussion would that be? Well, after much digging, I think I finally found your post. Is this what you're referring to? Is it better than the one I posted? if only because the company that makes it also makes a popular low budget signal generator. I don't know that I actually need it though, except to verify that stuff purchased from Aliexpress actually is what it purports to be. Useful video if connecting capacitors in series. 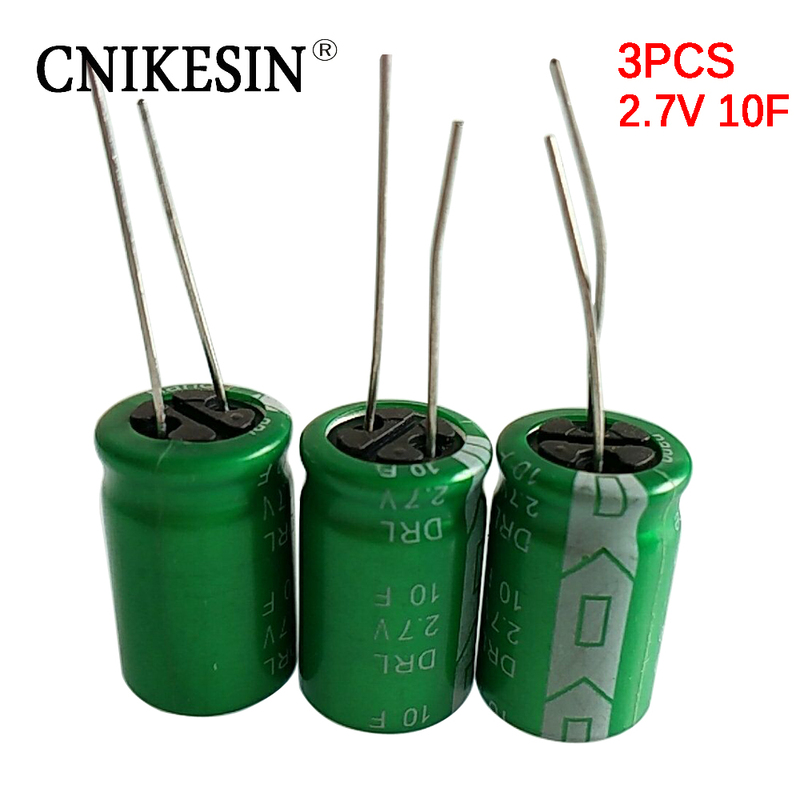 If using just one capacitor, though, I wonder whether there's any advantage to using the described shunt regulator circuit compared to simply using a 2.7v LDO voltage regulator? By the way, if your supercap's will be in a higher than room temperature environment, you may have to de-rate their max voltage. In general, supercaps won't last as long at high temperatures. Worth checking the datasheet for the details if that's a possible concern. I'll experiment when I'll get the small adjustable dc-dc converters and see how they go. I think the Swiss guy presents an interesting notion, and it's worth watching for that. However, I think his part choice of the TL431 is a poor fit for my solar application. According to the datasheet (cf page 6 of http://www.ti.com/lit/ds/symlink/tl431a.pdf), the minimum cathod current required for regulation is between 0.4ma and 1ma. From indoors, that's generally more current than I'm receiving from the solar panel! Now, double that, because you'll need two of them. Also, it can't handle very high currents either, which is, I presume, why the Swiss guy resorts to the transistorized circuit and/or the chinese supercap protector PCB circuit. Has anyone seen this solution for balancing the supercaps? Sounds better than the Andreas Speiss method. Thanks for posting it! Has anyone figured out how to do use this chip? I haven't pursued it, because I haven't heard a strong argument as to why two or more supercaps are better than one for powering a mote. The economics of supercaps seems to favor a one supercap solution. Well, if you need more than 400F... maybe then. I'm sure there's a crossover point somwhere if the storage requirements get high enough. At that point, though, it would seem you're doing much more than powering a sensor mote. Anyhow, I look forward to seeing what you come up with. Maybe you've found an interesting use-case that I haven't even considered. Anyone here tried them? I'm curious as to their self-discharge rate when they're not being charged. Am noticing that on Aliexpress you can now get an entire LTC3558 board for about the same price as just the ltc3558 chip on digikey. So, for low light energy harvesting, it might be interesting. Great caps and the price is really good too. @alexsh1 I purchased one of the 700F supercaps after my prior post just to see, and sure enough it has a pretty terrible self-discharge rate: about 0.4-5v per day. With a boost converter, maybe it would be good for powering an LED garden light at night.... Not sure what else it might be good for. @neverdie That's really bad - 0.5V a day. Questionable quality I guess? Prices are coming down gradually. I suppose soon enough we may see AVX priced more affordably. The chip looks a little easier to solder than some of them. It also nicely illustrates that what's really needed is charge balancing across supercaps, not merely overcharging protection. Otherwise you are much more limited by the weakest supercap in the series chain of supercaps. what I meant is that they don't actually go to 0v even if you short them as you will always be able to measure some small voltage. I am no expert but my bet is that that 0.5/0.6v is kind of their bottom line where they don't hold any more useful energy below that. For balancing there are SAB Mosfets that help to keep all the supercaps on the same voltage, but the reverse charge issue is the same for all series circuits, also LiPo worn out batteries can get to 0V and then getting reverse charged with all the consequent risk of fire.